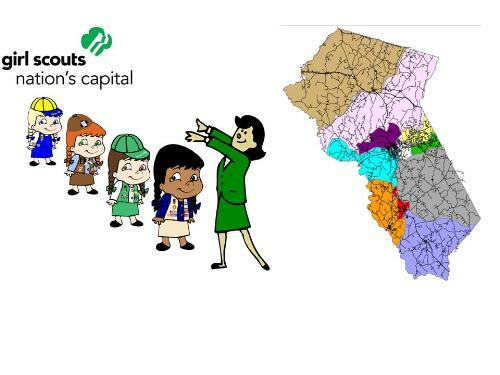 Welcome to Girl Scout Service Unit 90-12 website. Whether you are the parent of a girl interested in finding a troop or a leader of a troop in the service unit, you can find useful information in our site. Our service unit serves girls and supports troops in Fauquier County, Virginia. Troops are basically aligned with the county elementary school districts. Although many meet at these schools, some meet in other locations also. Middle school and high school aged girl troops are aligned in less defined areas, with some by location and some to meet the interests of the older girls. James G. Brumfield Elementary, H.M. Pearson Elementary, M.M. Pierce Elementary, Grace Miller Elementary, and Mary Walter Elementary; middle schools: Marshall, Auburn, Warrenton and Taylor and high schools: Fauquier, Kettle Run, and Liberty. We also serve girls in the county's private schools or home schooled girls.